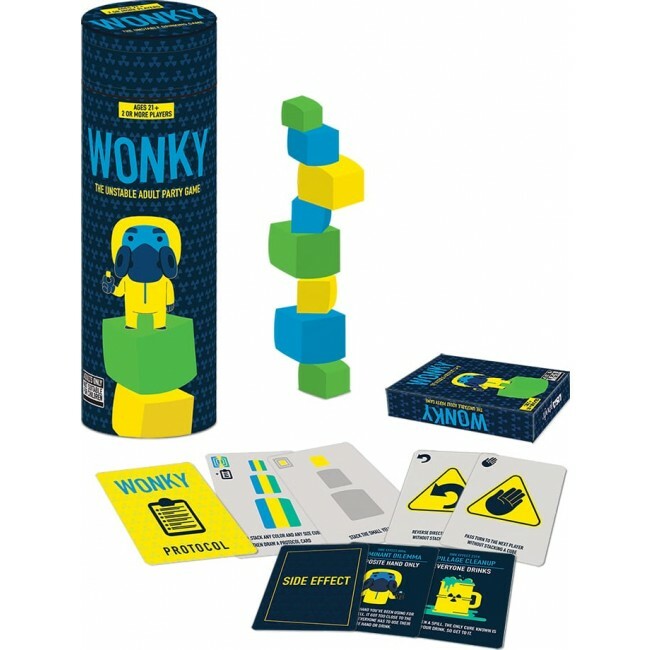 Radioactive and highly unstable WONKY® element cubes have been disturbed. As a member of the hazmat team players use Protocol Cards to restabilize the cubes, but beware toppling, the cubes can cause "Side Effects." First player to finish following all of their Protocol Cards wins the game. Includes: 9 custom Wonky cubes, 54 protocol cards, 20 side effect cards, and instructions. Ages 21+. 2+ Players.